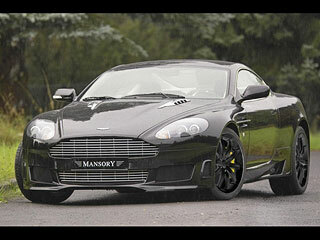 Aston Martin Vantage, DB9 and Vanquish S tuning by Mansory ! Demand for luxurious cars with a decent amount of sporting spirit is quite large in western countries. When a car make as for instance Bentley or Aston Martin is mentioned, everybody knows what is the matter. Maybe the only phrase, that fits these companies is „British style“. Their dominant design features, unique hidden potential and in the first place the tradition, that‘s hidden in every single vehicle – this features have no peer in the world. British cars have always been one step ahead, compared to the rest of the motor-world. Not with a maximum speed and overcrowding as criteria. On the contrary, British are typical with their sense of elegance and detail, that becomes evident on every single manufactured car. That’s why are these car makes‘ vehicles so extraordinary. 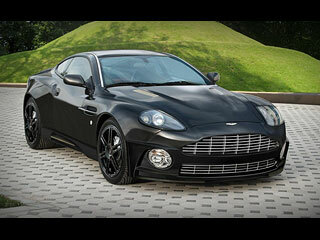 Car company Aston Martin is known for its elegant sports cars with a pinch of exclusivity. What happens, if these cars will be combined with German luxury giant Mansory? Let’s take a look! When you say Aston Martin, every man will imagine something else. Some will visualize purely sports cars, that doesn’t show their luxury very easy, some will think about it as about another car company, that tries to produce road sports cars. Somehow or other, car company Aston Martin knows the demand in market knows how to attract, and maybe, that’s the reason why it is the leader among road cars manufacturers. Today, we want to introduce you three representatives of this British classic. Their names are known worldwide: Aston Martin DB9, Aston Martin Vantage and Aston Martin Vanquish S. These three models were in focus of prestigious German tuning company Mansory, which specializes exactly in vehicles Aston Martin and Bentley. A hand-made vehicle, which combines traditional Aston Martin, or more concretely British style and features of everyday use. Neither performance potential and guts to be always on top should be omitted. These properties make this car world most wanted model. As a matter of fact, this car has been for a period of time James Bond’s loyal fellow. Probably, it is not necessary to mention that cars of this “insular” car company can really pride with their performance. The proof is eight-cylinder with beautiful volume 4.3 litres, which can produce (in combination with 6-speed manual and rear drive) maximum power of 380 horse powers (283 kW) and torque 410 Nm. This way, it can make 100 km/h in 4.9 seconds. Maximum speed is 281 km/h. Agent 007 should be really happy. It’s precise sports car with full comfort and GT attribute in every bit. Philosophy of design is an uncompromising fusion of Aston Martin style and features, that are typical for every extraordinary sports car. DB9 is an art. Many cars are just bunch of compromises – imposing on paper, but ordinary in reality. A sports car should have character and gain driver’s involvement. It should look great, sound great, it should have enough power to show its spirit and move forward. 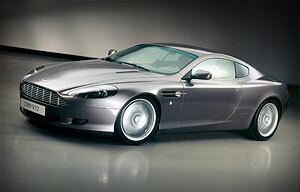 This is what is Aston Martin DB9 like. The quickest road car in Aston Martin’s history. Vehicle, that shelters skillfulness of manufacturers and the higher level of automobile technology. It is a flag ship of this British car company – it’s an ultimate Aston Martin. It’s purely sporting vehicle, which design indicates that this car is really voluble. Sporting but decent body kit with marks of British singularity is expressive at first sight. 12-cylinder engine with volume 6 liters can proudly produce respectable 520 horse powers (388kW) and 577 Nm of torque. Maximum speed can go over 322 km/h. One hundred is reached in 4.8 seconds. James Bond was lucky. German expert in British luxury have this time focused right on this three vehicles. It has made a complete package of modifications for this cars – starting with steering wheel and ending with suspension. The expressive and immutable style was perfected by German specialist. No car in the world can be more perfect and more sporting. Let us introduce you the single packets step by step. What could intensify the sport potential of this vehicle more than additional modifications? Whatever they are, they should be applied with sense. It would be sin to make this jewel a victim of overcrowding and trumpery. We have to emphasize that this car with its strongly sporting tuning has made a big impression on us. Gratitude to Mansory. Mansory packet for this vehicle is quite voluminous and starts in exterior. On modified front bumper is placed a 6-row aluminum front grill, which is complemented with an opening, that is covered with 4-row front grill also made of aluminum. The result of this is better flow of air to engine parts. For more expressive design decorative curves at sides of bumper were added. They slightly resemble the shape of openings. Also the front hood was modified – there is now a pair of aluminum grills, or more concretely hood vents. The overall impression of front part is intensified with defiant black body paintwork. The distinctive side sills are masterpieces of craftsman called Mansory too. Integrated rear openings fitted with perfectly designed lines are sufficient proofs. Globally, these side sills create very good symbiosis between design and utility, as well as safety. Did you notice, that the word ‘carbon‘ hasn’t been mentioned here yet? Surely, no serious modification of these jewels can be made without this material. Neither this time this “exclusivity“ has been omitted. First signs of carbon can be find on side sills in leather of carbon crossbars, then in beautiful rear mirrors together with their double holders. In combination with black – it’s astonishing. The big portion of praise desire the rear part of the car. Concretely, we are talking about carbon diffuser, carbon covers of rear headlights and two pairs of chromic exhaust tips placed above each other. Fusion of these single elements to one whole gives the car unique sporting look, which is in addition enriched with predacious noise of these exhaust tips. Moreover, rear lath at the end of the trunk has been added. The trunk obviously improves airflow and subsequently also the overall aerodynamics of the vehicle. There’s no doubt that the most beautiful part of this modification are the alloy wheels. These are six-spoke alloy wheels with double aluminum spokes painted black, the same as the bodywork. This is unmistakable sign of how seriously this tuning was created. The dimensions of discs are 9x20J in front and 10,5x20J in the rear. The contact with road is secured by low-profile tires with dimensions 255/35/20 in front and 285/30/20 in the rear. When mentioning the performance components of this adjustment, it’s needed to allude luxurious disc brakes Brembo in special edition of Mansory. They are equipped with brake wheels with dimensions 405/32 in front together with six pistons and 405/28 at the back with four pistons. Safety above all. The chassis was lowered by 20 mm, which added something more than only beauty to this car. A kind surprise is hidden under the hood – red carbon can be find in engine housing and spreads of shock-absorbers. The outer modification of this steed cannot be entitled else than brilliant. Also the interior of the vehicle was affected by skills of company Mansory. However, the style of British work and material remained untouched. Now, the interior is equipped with black leather and dark Alcantara. This combination is supplemented with aluminum (handle of hand-brake and pedals) and, of course, ever-present carbon, which can be find on central console, on sporting wheel, gear shift lever ball, door handles, listels of doorsills with logo of manufacturer. Here comes another one – this time it is roadster with hard top – Aston Martin DB9. The original obviously sporting character is even more intensified with look-packet of German company Mansory. However, also in this case it is needed to emphasize the fact that tuners know the cars of this British car company very well, therefore is their choice of complements the way it is...maximally contrasting with style of the bodywork and sporting enough to attract even uninvolved people. Simply – ports car with big S.
The front bumper of this car was rebuilt – a bottom opening was added. Its fill is the same as the fill of front grill, that means, it is four-row aluminum grill. At the sides of this opening, there is a pair of rectangular openings with dark dense expanded metal. The more attractive part of this transformation is a pair of small spoilers, located at the edge of the bumper bottom. First aluminum complement was put on front hood – the two old-school hood vents. The combination of black paintwork and this modified front part of the vehicle tells us, what was the aim of the tuners. It’s not as easy as it looks to reach the aggressive look of car exterior. However, if you know how to do it and if you have useful equipment, the only thing you need then is courage and a good idea – suddenly whole thing is finished. Let’s take for instance these side sills created by Mansory. The are distinctive with longish curves and showy ending of rear part, that consists of pair of skewed openings, that secure the airflow necessary for cooling of rear brakes. Really nice part of this set. The rear part was affected by the same fate, that changed Vantage. Carbon diffuser, carbon covers of rear headlights and two pairs of chromic fishtails placed above each other. Furthermore, there is one decent listel at the end of the trunk, which looks slightly like a spoiler and improves the air circulation and the overall dynamics of the car. Here, another aluminum part occurred – a strip positioned above rear lights and place for evidence plate. Reinforcement of sporting tint was reached using a lowered chassis (squeezed by 25 mm) and black-colored 10-spoke alloy wheels with dimensions 9x20J in front (255/35/20) and 10,5x20J in the rear (285/30/20). Also the brakes were upgraded – special edition Brembo offers drilled discs with 405/32 in front (six pistons), 405/28 in the rear (four pistons) and yellow calipers. But top of the milk is the vertical door opening lambo-style doors. Jaws on the floor will not suffice as a praise for craftsmen of Mansory. True astonishment will strike you after opening the door to interior. Human senses are drugged with used materials and colors- they are perfectly combined with dark plastic and carbon, which can be found on beautiful sporting wheel and central console. Exactly this magic material creates pleasant harmony with grey and bright yellow Acantara (wheel, seats, doors, roof, etc.) and white stitching. It is also needed to mention aluminum pedals and handle of hand-brake. Wow. The last victim of Mansory was the “King“ of Aston Martin family – Vanquish S. Its provoking design makes unforgettable experience and tells us, that this is something precious. It is needed to say that this modification represents real sporting and dynamic spirit. Massive front of the car can pride with longish opening located in bottom part of modified front bumper with integrated four-row aluminum grill. Openings intended to feed the front brakes with air are situated at the sides of bumper. They homogenously meet smaller carbon spoilers together with a pair of narrow slots. All this together makes a compact result of masterwork of German tuners, which is crammed with outstanding style. Moreover, the hood is decorated with a pair of aluminum costate hood vents. As a whole, the adjustment of front part is more than elegant. Also the side sills were treated very carefully. Fine lines are complemented with a carbon crossbar, which divides openings at the ends of side sills. Really nothing challenging but attractive. The rear part of car shows us that as for the tuning there’s never not enough carbon. In this part is located a large carbon diffuser with three fins and pair of oval fishtails – chromic of course. Right in this part the sense of detail became evident – four longish in pairs ordered openings (in two pairs above each other) placed at the sides of bumper. They are filled with dark expanded metal and their mission is to take away hot air from rear brakes. We can also find here decent lath at the end of the trunk, which improves the circulation of air and car aerodynamics. The walk through the design paradise is not over yet. Another stop is at massive six-spoke double stripe alloy wheels colored black with dimensions of 9x20J in front and 10,5x20J in the rear. they are booted in largest tires of these three cars: 275/30/20 in front and massive 315/35/20 at the back. Precision is visible also in the interior of the car. Carbon (steering wheel, central console, hems of door handles), black leather (seats, dashboard, wheel), red leather (seats and the door cushioning), aluminum (hem of gauges, peals, handle of hand-brake and other complements) and red borders create a beautiful story about unity. 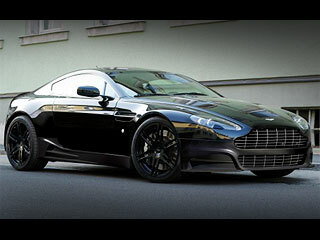 What is your opinion about Aston Martin DB9, Vanquish and Vantage?